​The United Kingdom is known for its Queen and the royal family, for Big Ben, the London Eye and its unmistakable British accent. London and the cities of the country certainly have their extravagant elements. ​On the other hand, the countryside of Scotland, Wales, York and other great spots can give you a real awakening with its sharp, cold air, the calming landscape and the spectacular rocks and mountains. Due to its climate, the clouds that are constantly hovering above the country and the rain that is estimated to fall 156 days out of the year, England has never been considered the perfect place to produce wine. A lot of presumption has been made over time about English wine and whether it could ever compete with French, Italian or American wine. Due to the lack of sunlight throughout the year, it is assumed and expected that the ripe process isn’t quite as successful in producing sweet grapes. However, many studies have shown that English wine is in fact progressing massively and that when tried, it can even out-stand French Champagne. The reason behind the steady progress over the last few years is presumed to be because of global warming, making the climate much warmer and providing the vines much more sunlight. To find out how England’s improved, you should read a list of best English wines and go in with an open mind. You may be surprised of what you find. Wine making in England can be traced back to the Romans who introduced it to the UK. Over time, it has developed and spread to over 600 wineries across Wales, Scotland, York, Kent and many other locations. There are 22 vineyards operating in Wales and 4 currently planted in Scotland. Over time, England has been constituted as a very small winemaking industry that could never compete with the larger wine distributors across the world. However, recently, more trust and faith has been encouraged into English wine. As the climate changes, the spices and recipes for each wine bottle has not only shown great progress in comparison to the last few decades but also potential for a great future of winemaking. 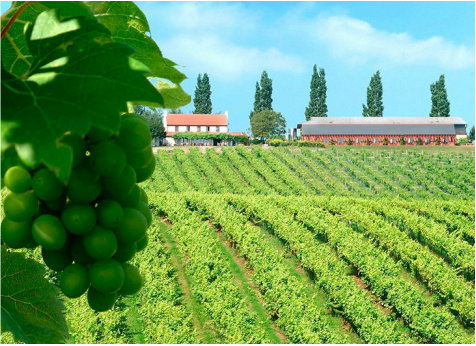 There are more than 400 commercial-sized vineyards producing English wines. Nationally, annual production levels check in at 3.15m bottles of wine. Approximately 66% of wines produced here are sparkling wines. 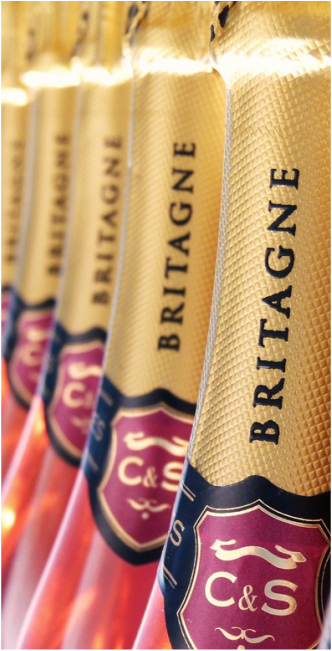 This is because soils in England share similar qualities with those found in France’s Champagne region. British viticulture is nearly 2,000 years old. England benefited from the expertise of the French, when monks crossed the channel during the Norman Invasion in 1066, but their hard work was lost in 1536 when the Dissolution of the Monasteries effectively destroyed English wine growing. English wine can surprise and excite a wine lover just as much as the classic French or Italian wine can do. 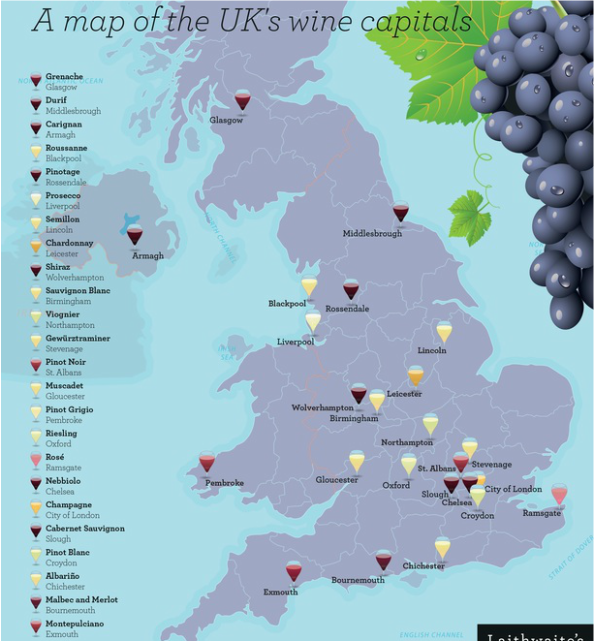 England, Wales and Scotland have their own individual wine-producing regions as shown on this map to the right. Tscharke, La Bota de Fino, Amontillado Sherry, Château de Fauzan, The Wine Atlas Corbières, ​​Y Series Shiraz, Viognier, Argentinean Malbec, Leyda Valley Sauvignon Blanc, Trapiche Pure Malbec, and the Chateau Reynon Sauvignon Blanc.